Ace Bodhrans by Mance Grady - online inventorcustomorder.htmlr professional quality bodhrans made with care by Mance Grady, o#detailwindowemost players, makers, and teachers in North America. more drums are being made! Call to see what's going to be available. 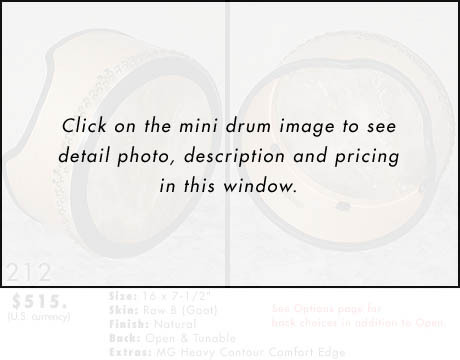 Or order a custom-made drum to your specifications. Have you checked out our Accessories section ? Maybe you're not sure what to give? Then maybe a Gift Certificate would do the trick. Call and order one today - (401) 333-2293 E.S.T. We accept MasterCard and VISA. Thank you and wishing you all a Very Happy New Year!